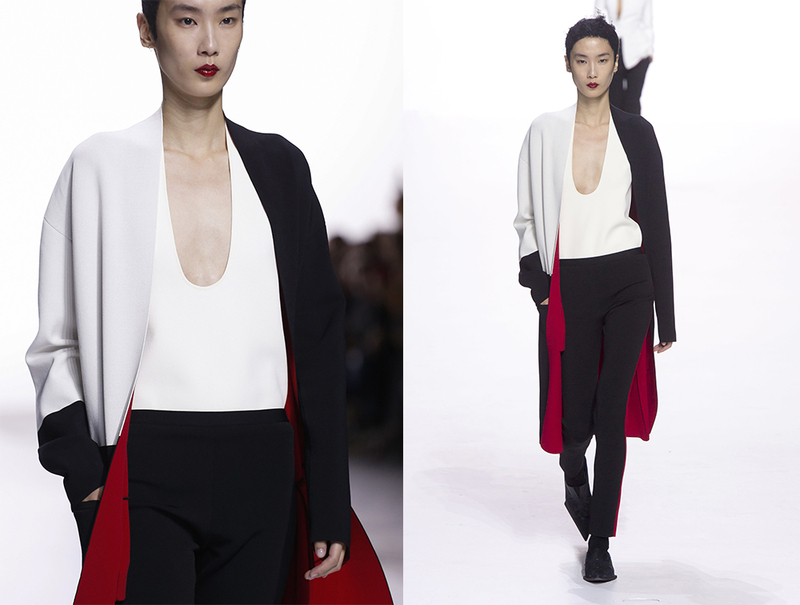 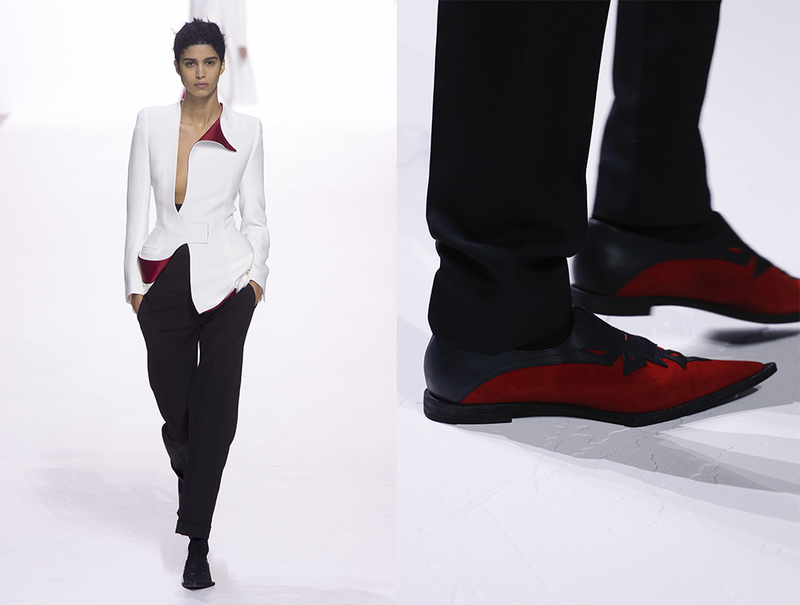 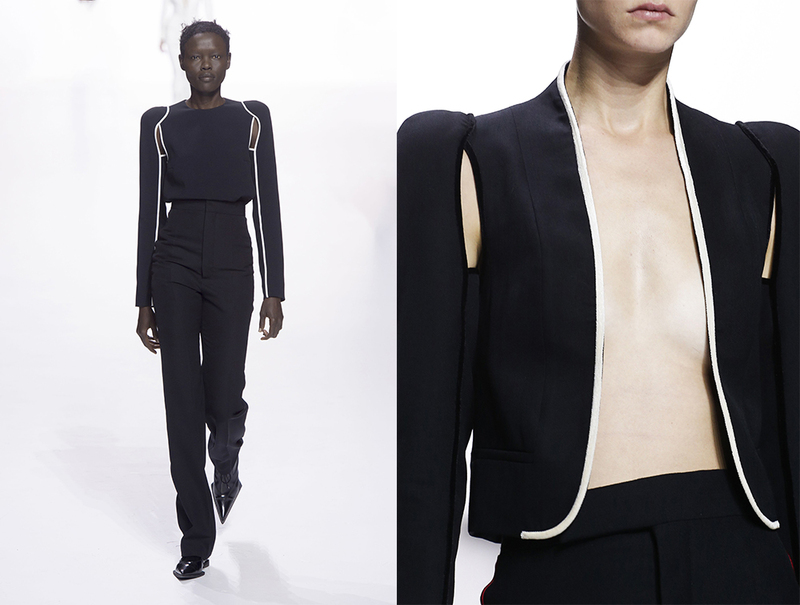 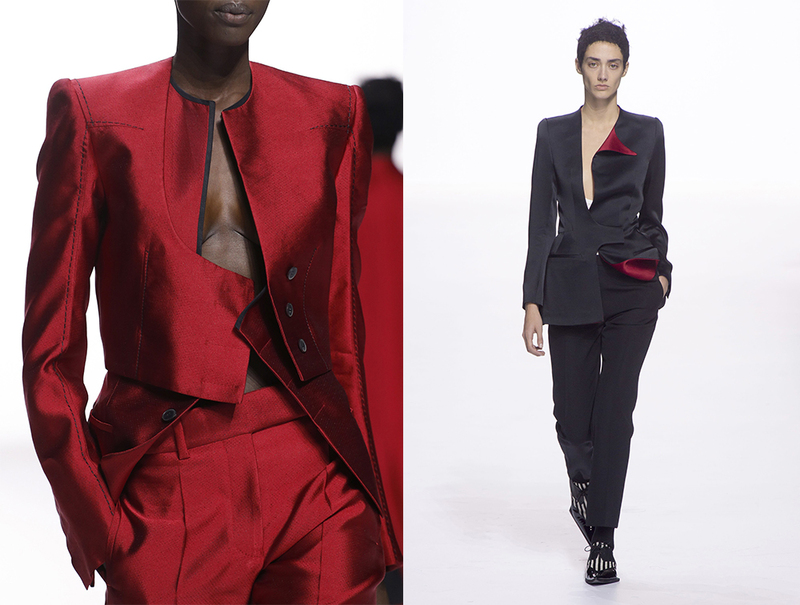 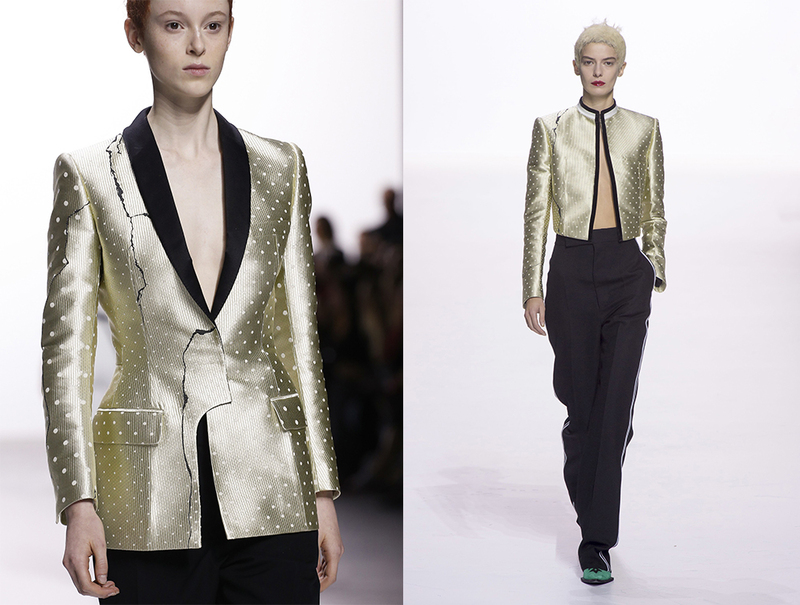 Haider Ackermann belongs to an elite and shrinking class of women’s tailors. 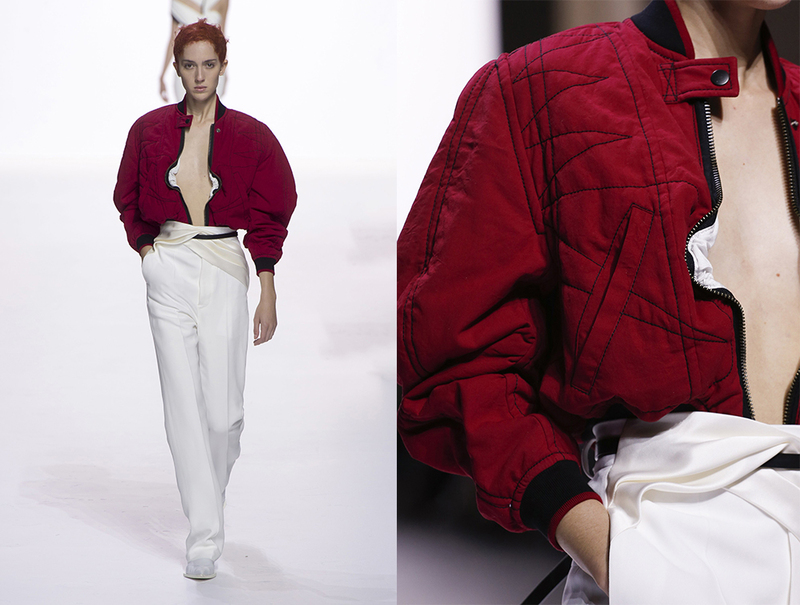 It’s a métier that has lost its luster with the young generation of designers who rely on streetwear and fan merch to burnish their images. 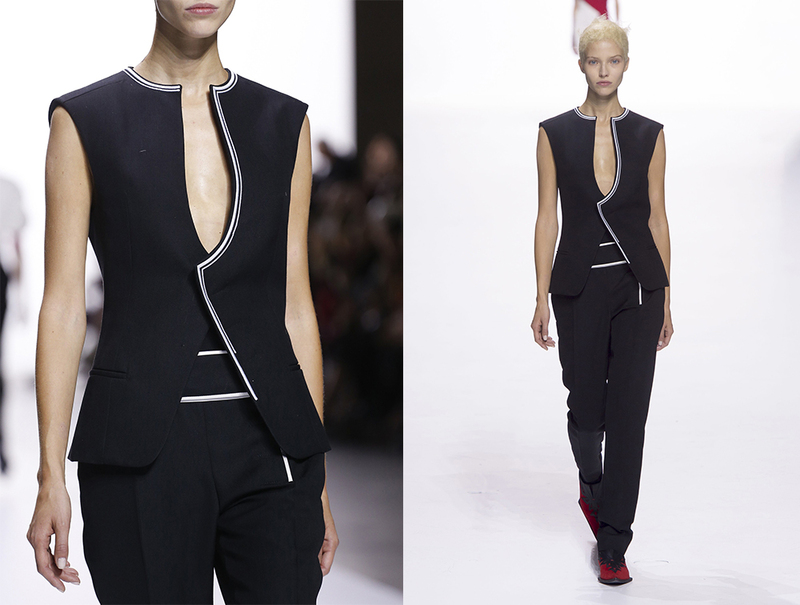 Frankly speaking, I’m quite amazed at the collection’s tailoring. 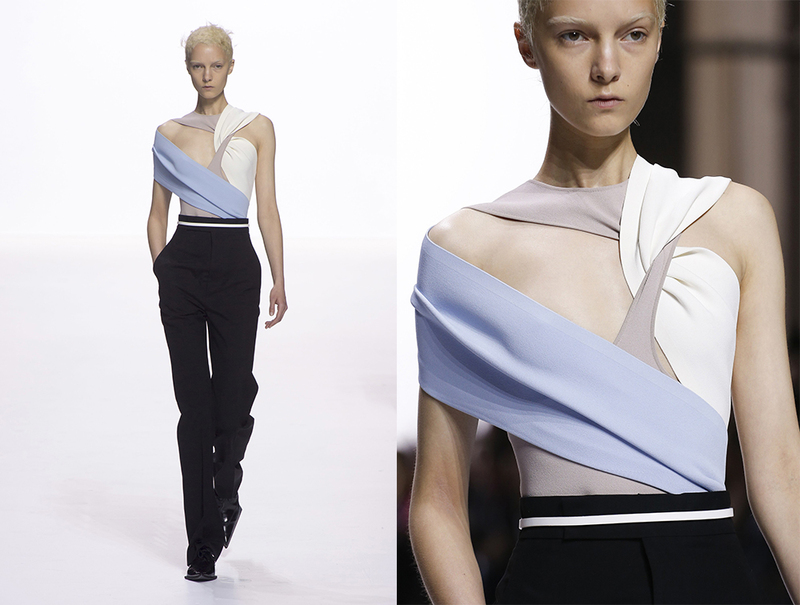 Asymmetrical lines with all kinds of draping and wrapping never looked so good, especially in this slightly mannish and laconic style. 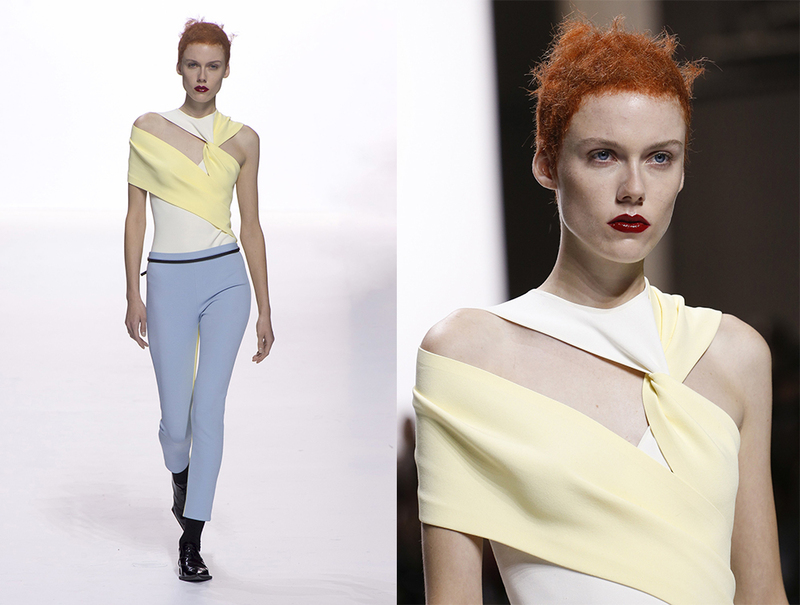 Have a look at the colour combo – a few models showed a perfect example of a head-to-toe beauty statement with hair colour. 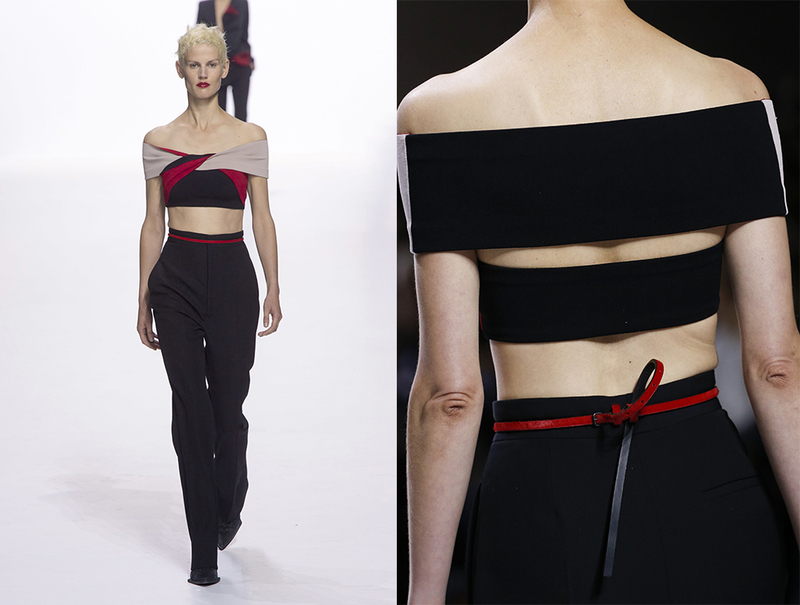 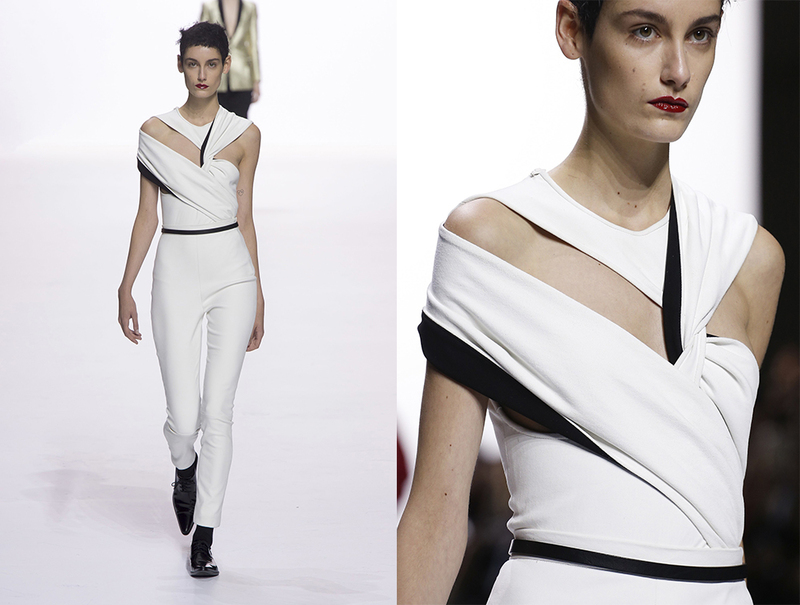 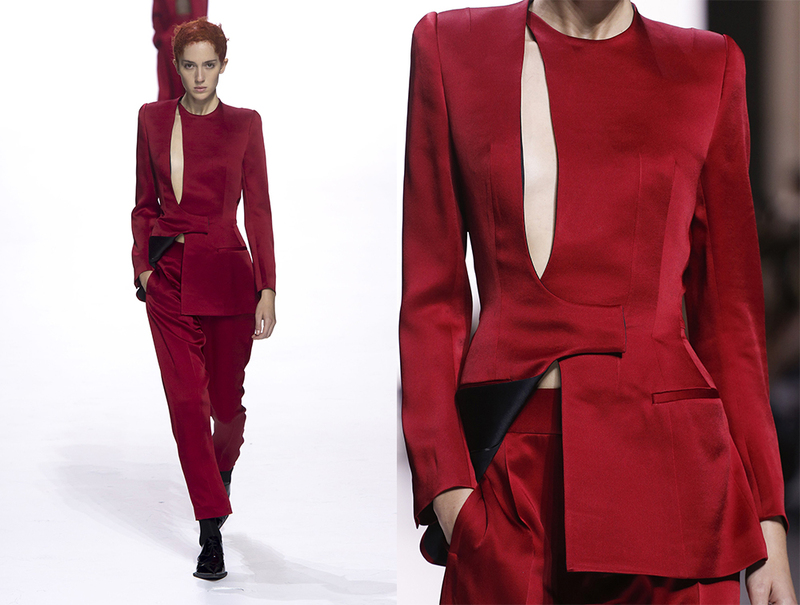 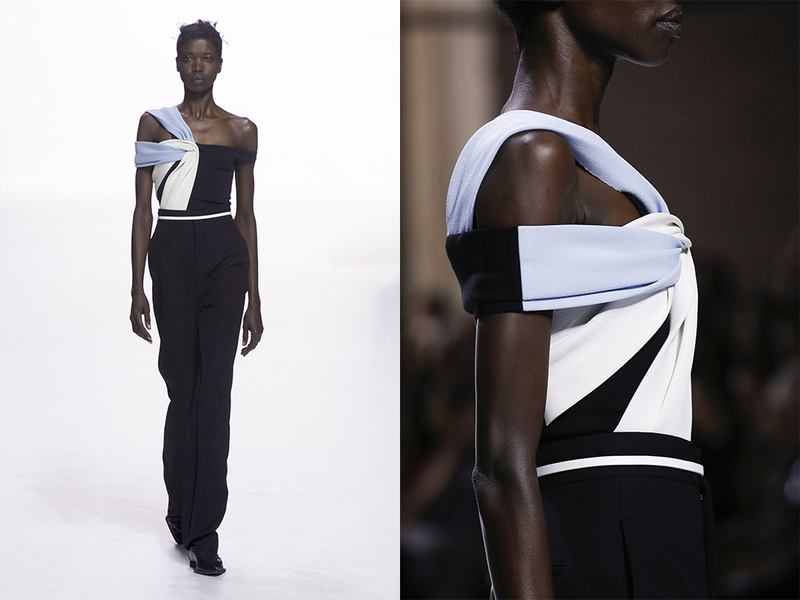 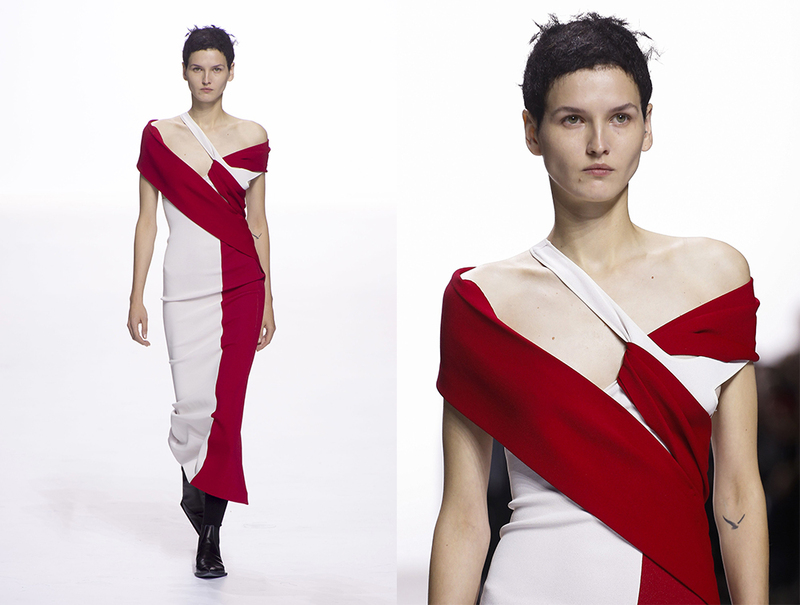 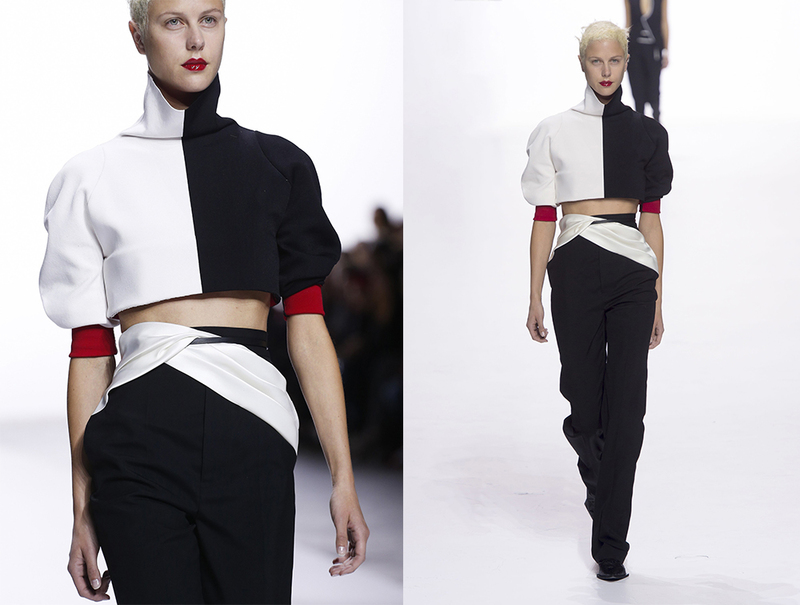 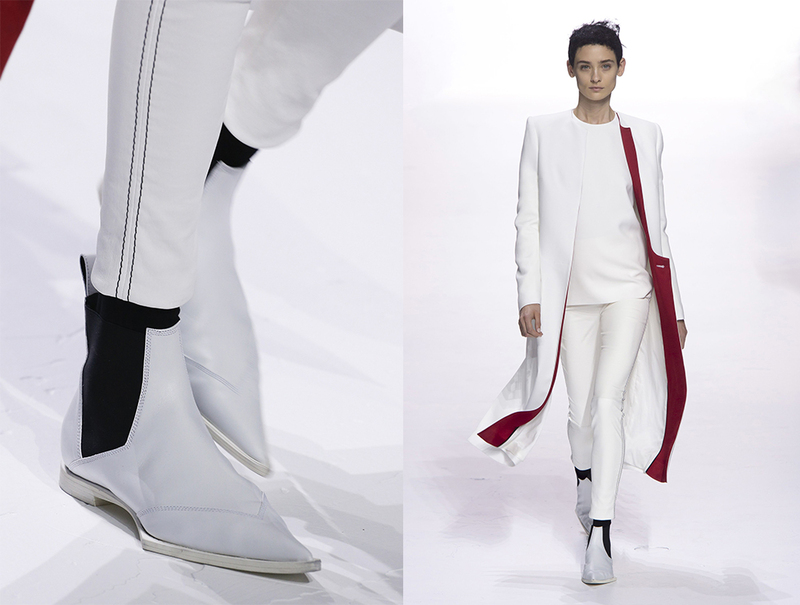 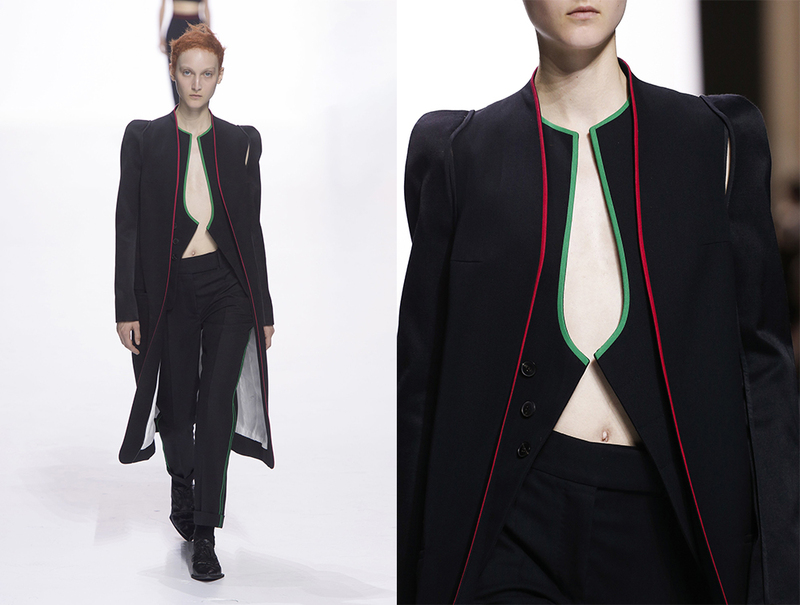 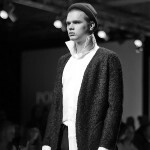 Thank you, Haider Ackermann for a perfect job! 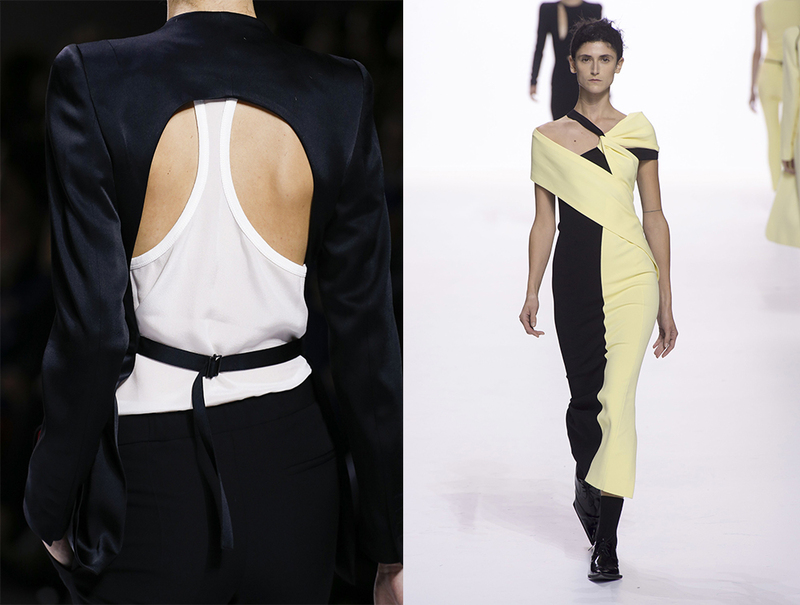 Graphic and linear, this collection inspires me to take a pencil and start endlessly sketching fashion silhouettes (as we did at the Design School). 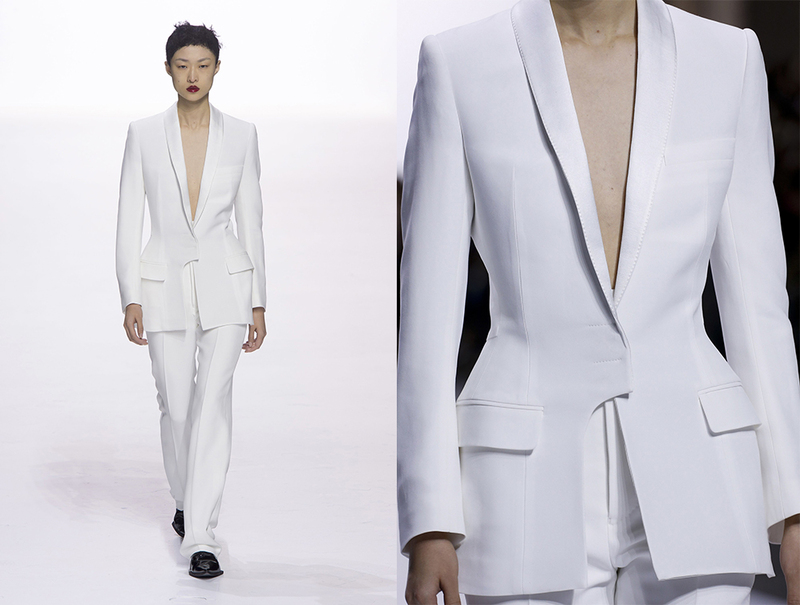 The new era of Saint Laurent has begun. 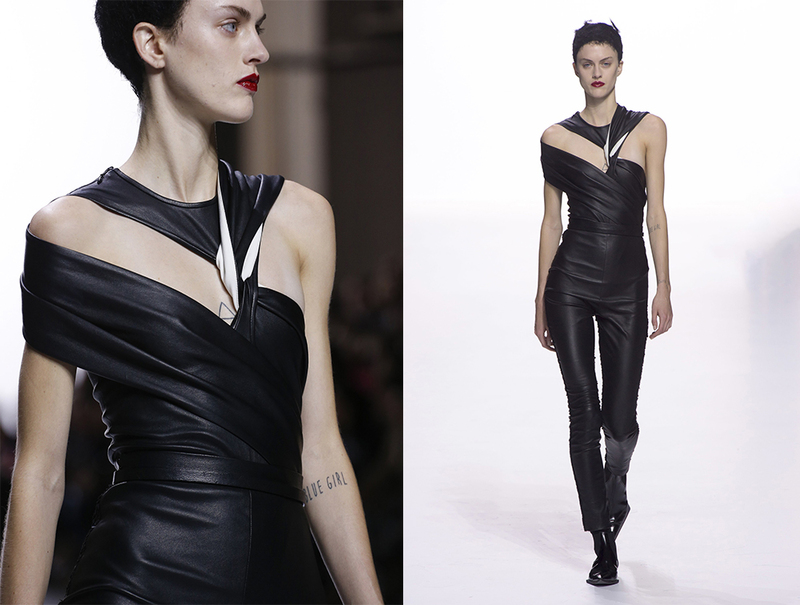 Anthony Vaccarello replaced Hedi Slimane and became new Creative Designer.